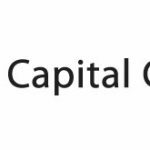 RCBC Capital Corporation is a full service investment house that provides a complete range of investment banking and financial services. Organized as Philippine Pacific Capital Corp. (PPCC) in 1973, it became an RCBC subsidiary after the unibank had acquired it from its partners in 1993. It was renamed RCBC Capital Corp. the following year.